Theresienstadt Concentration Camp Czech Jewish Holocaust Survivor Ela Stein-Weissberger spoke during the 2013 Federal Inter-Agency Holocaust Remembrance Day, at the Lincoln Theater, on Wednesday, April 17, 2013, in Washington, D.C. Ms. Stein-Weissberger talks about her experience of âThe Night of Broken Glassâ, when the Nazi smashed the Stein home. During her imprisonment at Theresienstadt Concentration Camp, she took part in a childrenâs play âBrundibarâ that was part of a German SS propaganda film that showed model camp conditions and activities. The film was never released by the German government, but did survive since then. She was shown in the cast, when it was used in the CBS News program â 60 Minutes â âThe Nazi Deception.â She also displayed her cloth âJudeâ badge that identified her as being Jewish during the Nazi uprising. 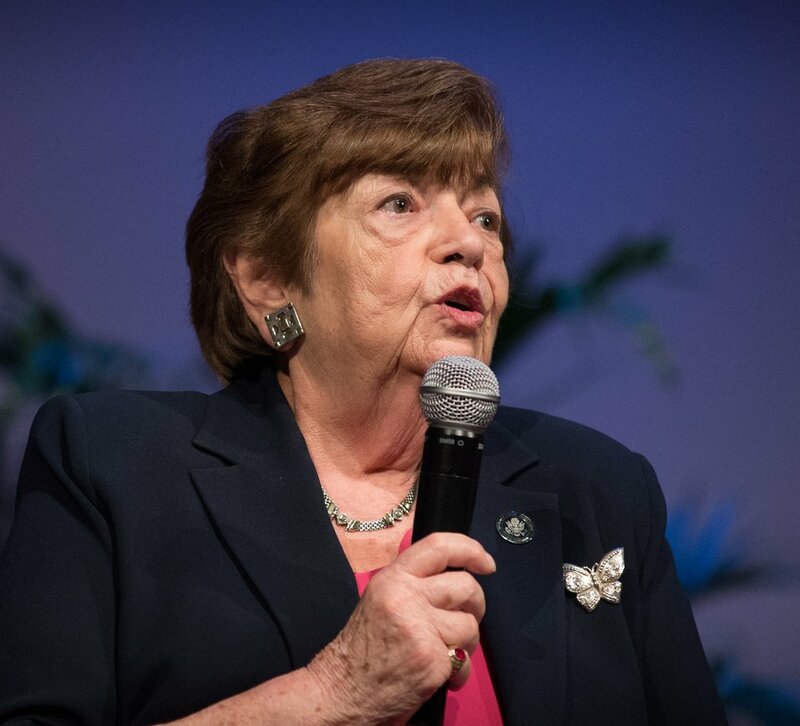 Since the 1979 Presidentâs Commission on the Holocaust, an annual proclamation signed by the President of the United States recognizes the importance of remembering the atrocities of the Holocaust that should never be forgotten or be ignored. USDA Photo by Lance Cheung.